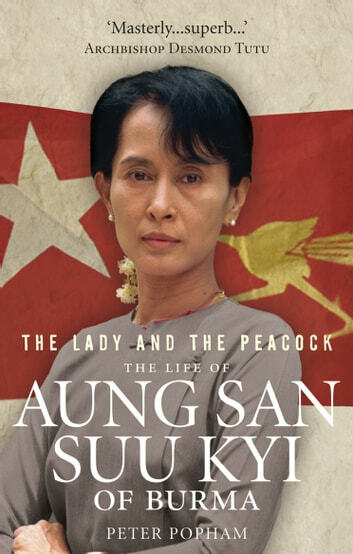 Peter Popham's major new biography of Aung San Suu Kyi draws upon previously untapped testimony and fresh revelations to tell the story of a woman whose bravery and determination have captivated people around the globe. Celebrated today as one of the world's greatest exponents of non-violent political defiance since Mahatma Gandhi, she was awarded the Nobel Peace Prize only four years after her first experience of politics. In April 1988, Suu Kyi returned from Britain to Burma to nurse her sick mother but, within six months, found herself the unchallenged leader of the largest popular revolt in the history of Burma. When the party she co-founded won a landslide victory in Burma's first free elections for thirty years, she was already under house arrest and barred from taking office by the military junta. Since then, 'The Lady' has set about transforming her country ethically as well as politically, displaying dazzling courage in the process. Under house arrest for 15 of the previous 20 years, she has come close to being killed by her political enemies and her commitment to peaceful revolution has come at extreme personal cost. In November 2010, after fraudulent elections in which she played no part, Suu Kyi was again freed. She was greeted by ecstatic crowds but only time will tell what role this remarkable woman will have in the future of her country.